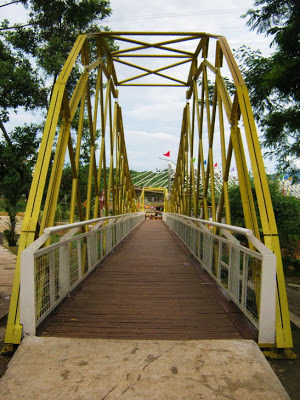 One of three bridges that lead visitors to riverside eating place at Ah Poong Floating Market Sentul City (Bogor, West Java, Indonesia). 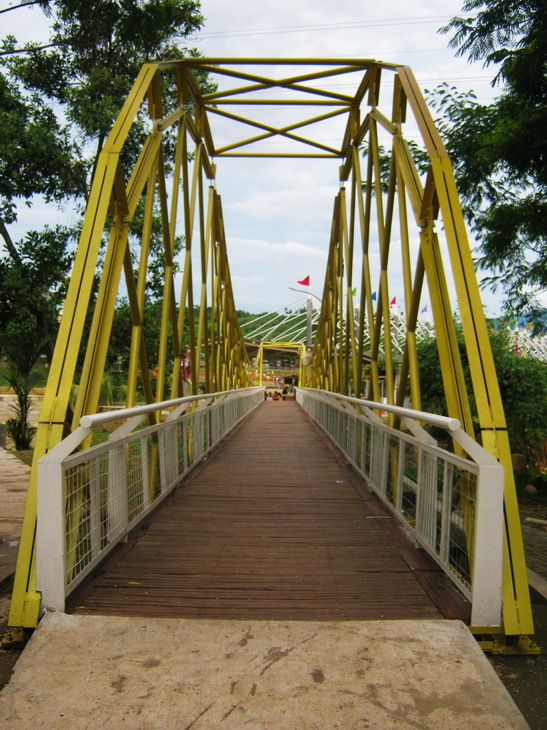 A yellow bridge ! that's nice ! Yes, oisters are very expensive in Belgium too, but not in the South of France ! I don't eat them anymore, I once was sick probably one was bad ! Since then I don't touch them anymore, lol ! Neat bridge! Have a fabulous week. A cute little bridge! That yellow would look so bright and welcoming on a grey, cloudy day! VERY colorful...and with it being yellow, easy to see, and inviting us to cross. Nice picture. It is very colorful and attractive. I think it can attract more customers to the eating place.